A travel program featuring Turkey’s popular tourist destinations and historical attractions will be aired on a U.S.-based television network over the next three years, Turkey’s Tourism Ministry said Sunday. Famous British actor Larry Lamb and his son George Lamb, a well-known radio programmer, will promote Turkey’s tourist attractions in a six-episode program titled “Turkey: A to B” on Travel Channel, according to a written statement. 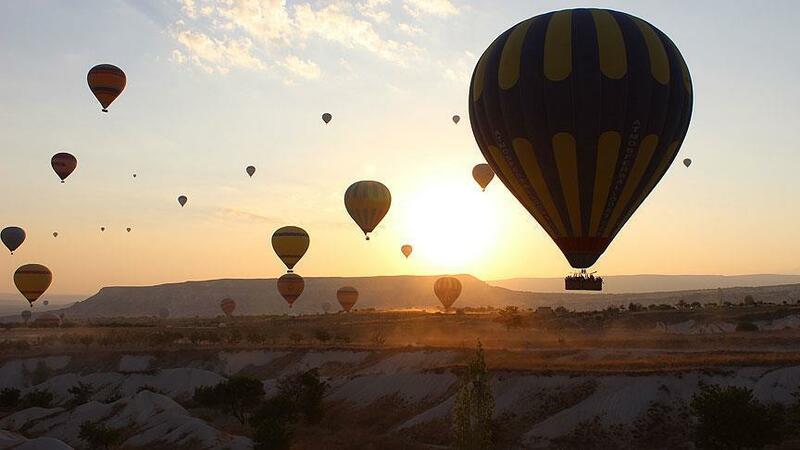 A 10-member team completed the shooting in 24 days, it said, adding the program would feature popular tourist destinations, including historical and cultural spots in Istanbul, the antique city of Ephesus in Izmir, Cleopatra pools in Pamukkale, Phaselis antique city in Antalya, Cappadocia hot air balloon rides and Ankara Citadel. The program, which is expected to boost Turkey’s tourism sector, will be available for viewing in the United Kingdom, Middle East, Europe and Africa as part of an agreement between the Ministry and Travel Channel, which has 61.4 million subscribers and broadcasts programs in 22 different languages in 74 countries, the ministry added.